HINT: This IS an Animal Crossing related post. This post is actually here to do a couple of things, namely to inform you of something neat you may not know. Also to get some updates on some TAY friends stuff, so lets jump in. First, my discovery of Baku pictured above(left). I never actually took the time to figure this one out before, but I had always realized in games that things that are related to dreams always seem to look like Tapir. 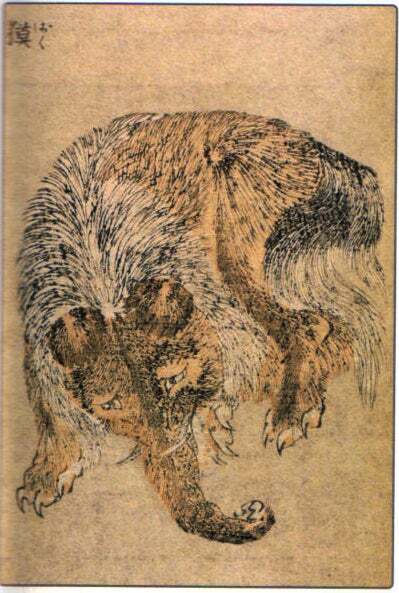 The Japanese term Baku has two current meanings, one regarding the folklore that originated from china about a dream devouring spirit, and the other being the actual term for a Tapir. That's why you get so many clever little Tapir-like creatures related to dreams in Japanese video games, it's pretty clever if you ask me. Now onto the Animal Crossing stuff. If you go and check your town hall frequently, you'll eventually walk in on Isabelle asleep at her desk. When you wake her she mentions a woman, Luna, came by asking about setting up a Dream Suite on your main street. You can then do the Public Works Project to open up the facility. The Dream Suite is a unique feature that allows you to have a dream version of your town, that your friends can visit if you share with them your Dream Address. You are also supposed to be able to go to a random town, but for some reason there's reports of it not working for most NA games yet. I wasn't able to do it the two times I've tried. It may be something that Nintendo has to enable for us in the future. This feature is mostly for fun, and showing off your town to anyone without the fear of griefing. Anything you do does not affect the actual players town, and you cannot bring anything back from the Dream Town except for patterns if they allow them to be shared. So what I did here is add a nice little column on the Let's Be Friends list for your dream suite address, as well as your town name if you so choose to share. Let me or TuT know, but if you post in response to this post I can probably manage adding people to it. Formatting on this site is driving me bonkers, I don't like how it's not letting me use images to block off paragraphs like before. Someone fix it! Call the kinja police.